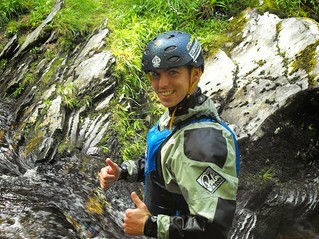 Here is our guide onto Canyoning, Cliff Jumping and Gorge Walking. If you wonder what it is all about,don't worry most people have no idea what is involved either. 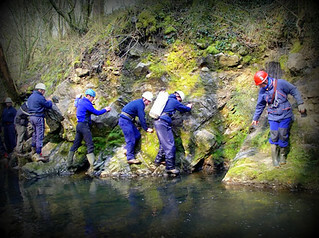 Since all of these activities comes under one category, it involves ropes, harnesses and jumps. 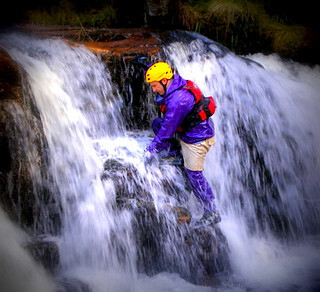 Be ready to slide and swim down rapids, float down fast flowing chutes and waves, walk behind some breathtaking waterfalls and of course jump off those jaw dropping waterfalls. 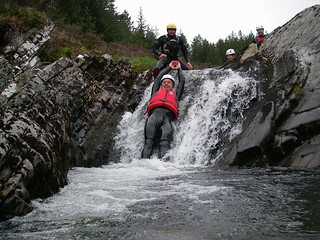 The fully qualified instructors will be with you throughout your session and you will be jumping,abseiling and sliding down a series of waterfalls and flumes. 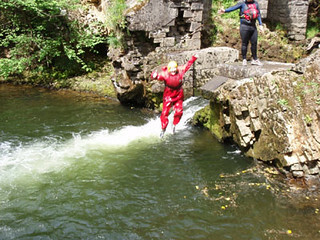 If you have a head for adventure these activities would be your pick of the lot! 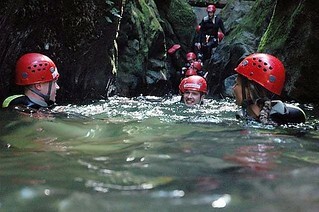 Take back unbeatable memories of scrambling over slippery rocks and plunging into deep pools as probably these are the only activities that can boast of it all. 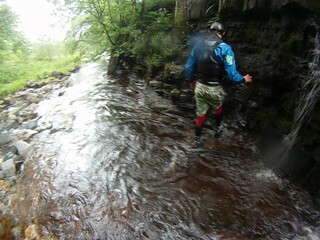 It takes loads of adrenalin to come out winner in this highly demanding activity. 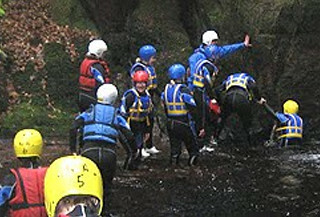 These are superb outdoor group activities that let you waddle up the streams, scramble up the rocks or swim through the pools. 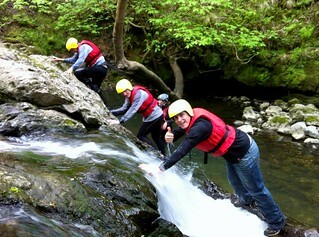 Sessions will be tailored to suit your groups abilities. 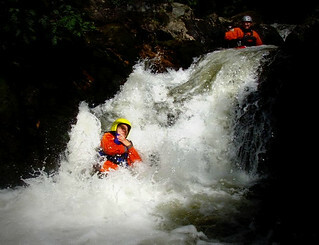 An amazing activity that will have you wanting more - excellent for sunny or rainy days afterall you will get WET!!! 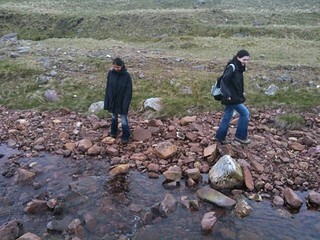 To discuss this activity, call our team at Gobananans. 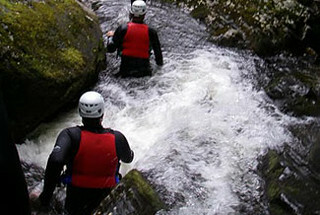 We have experts in this field who will guide you and make your day memorable.